I know a LOT of work must go into making sure you have speakers on a rotating basis, but how exciting and engaging for the kids! Knowing that you're aligning your guidance activities with the ASCA model is a double hitter! Rock on! P.S. Can't wait to share! 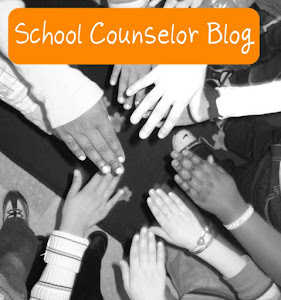 I am high school counselor that works primarily with 9th graders. I think that this would be a great way to educate them about career interests and satisfy bridge legislation requirements. Thank you for sharing your ideas! It can be a lot of work to get speakers...that is why I highly recommend starting with individuals you already know. 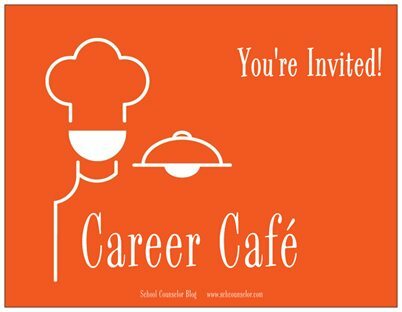 I have been surprised by peoples' willingness to come in and talk about their careers! The speakers love it just as much as the kids! 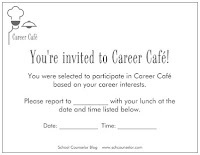 I think Career Cafe would work for any grade level. The eighth graders at my school really enjoy it. I have some students asking me to come to ones that were not their original "interest" just because they enjoy hearing people talk about their jobs! It is definitely a fun and exciting to get kids thinking about careers! Danielle: Thank you SO much for sharing this!!! 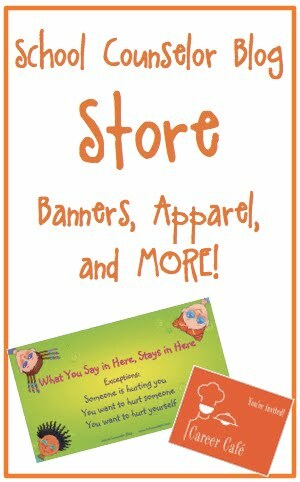 How do you think 3rd/4th graders would do with this? I am new at an elementary school and trying to figure out how I might incorporate careers in a way different than a once a year "career day." I'd have about 130-160 3rd and 4th graders. COuld also do just 4th grade, but also include our Montessori 3rd levels (about 26) brining my numbers down to about 100. Any feedback would be great! I'd like to start this year!!!! Another question Danielle- It looks like the postcards on Vistaprint are not free, or am I missing something? The 100 Free Postcard code changes from time to time. 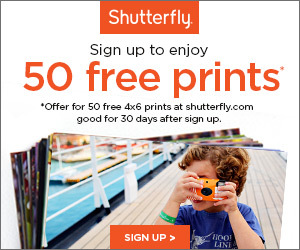 I usually just do a search for 100 Free Vistaprint Postcards and then use the link that comes up. Here is a current one:http://bit.ly/hZgwqR. You can also do this for other products. I have gotten business cards, pens, and magnets this way too. You must pay shipping though. Shipping usually isn't that bad. I always get the 21 day shipping option... it is the cheapest, but still comes faster than 21 days. 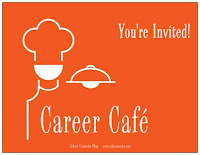 Jenny, I think Career Cafe would work great for your population. I would recommend giving students a career interest inventory first so you can gauge interest in speakers. I like the way we do it because the students are very interested and engaged when the career is one of their "choices" for the future. You could facilitate sessions of 15-20 students at a time. If you have any additional questions please ask! I am so glad you like the idea and are planning on using it this year! It has been so much fun and I am so glad we started it! 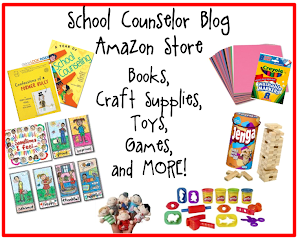 I am a student working toward my school counselor licensure, and I appreciate the way you share your ideas. This is one I will definitely want to implement in my future school! I just wanted to say how much I love your blog and I have been so inspired! 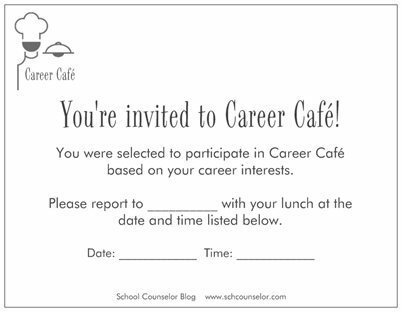 I work at a PK-6 school and have started my own Career Cafe with grades 4-6 this year. Today the local newspaper came to do a story on it! So excited for positive news about my school! My students and presenters are loving the program! I have had two sessions so far and have about 10 more scheduled! I even have some high school students scheduled to come talk about careers they are already learning about (high school radio station, school store, etc.) while still in school. I work at a low income school and my students need to be exposed to positive community members who are working, so much value on so many levels! It's been a lot of work to set up but worth it! I will share pictures and the newspaper story soon. Thank you again for your amazing blog. What career interest inventory do you use for the 6th grade?